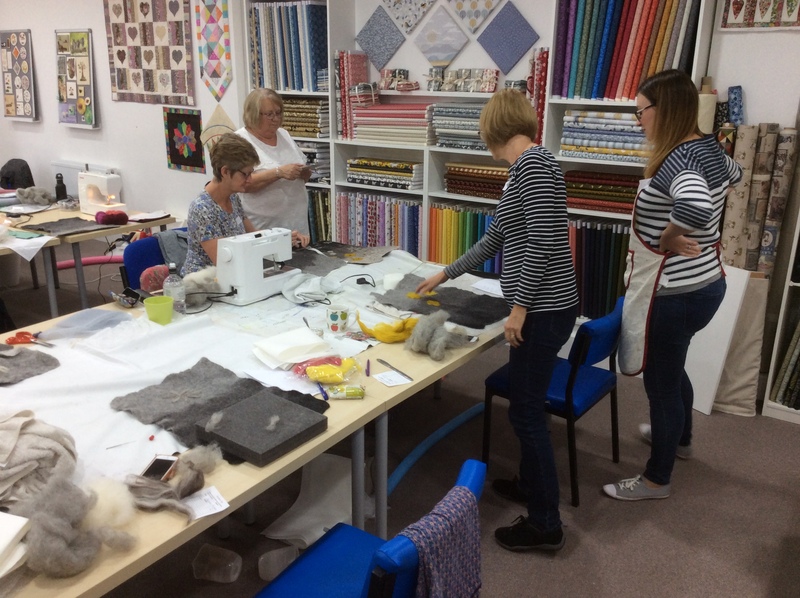 Today was day one of a two-day Lutradur Forest Workshop at the Simply Stitch Studio, Wetherby. 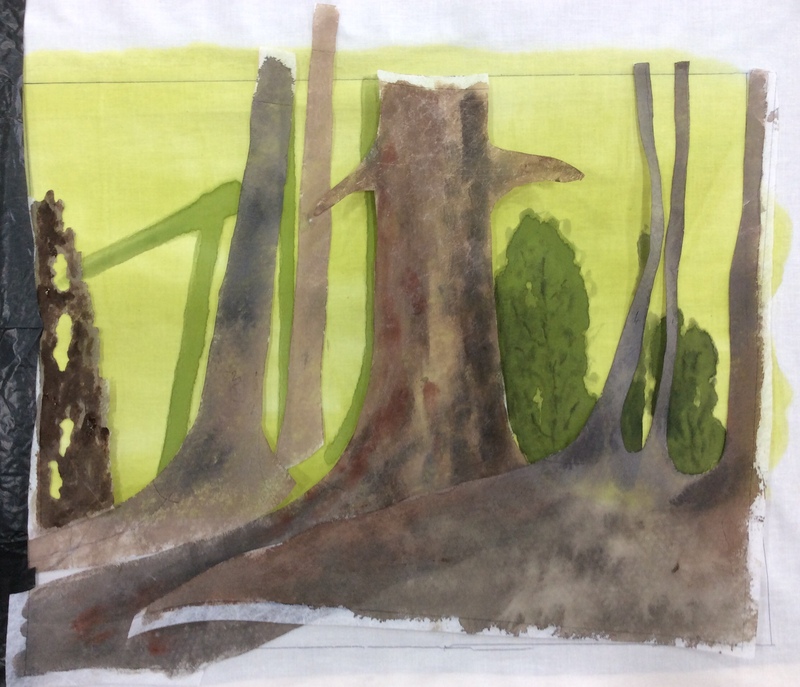 Using my “Walk in the Forest” design as a starting point, eight ladies have begun the day designing their own “Forest” art quilt which will consist of several layers of Lutradur fabric. 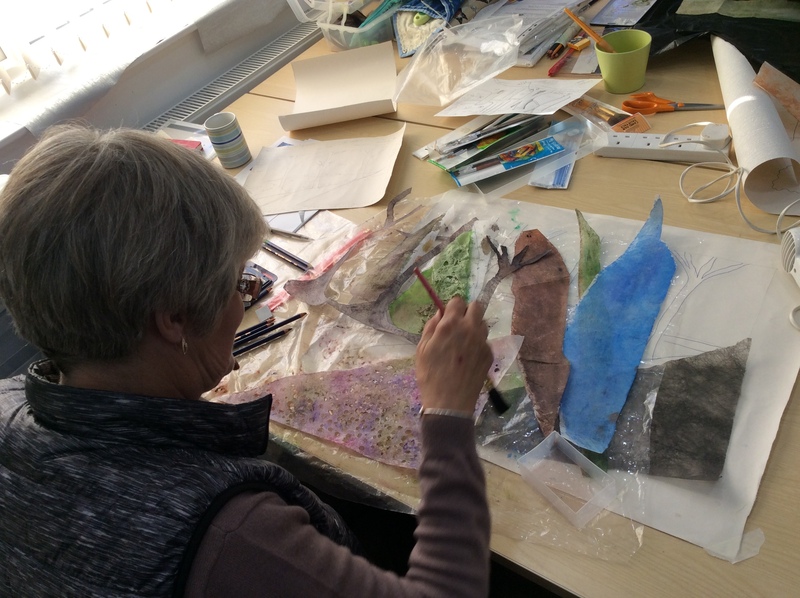 Today the Lutradur has been cut out and painted and tomorrow we will begin layering and stitching the fabric in place. 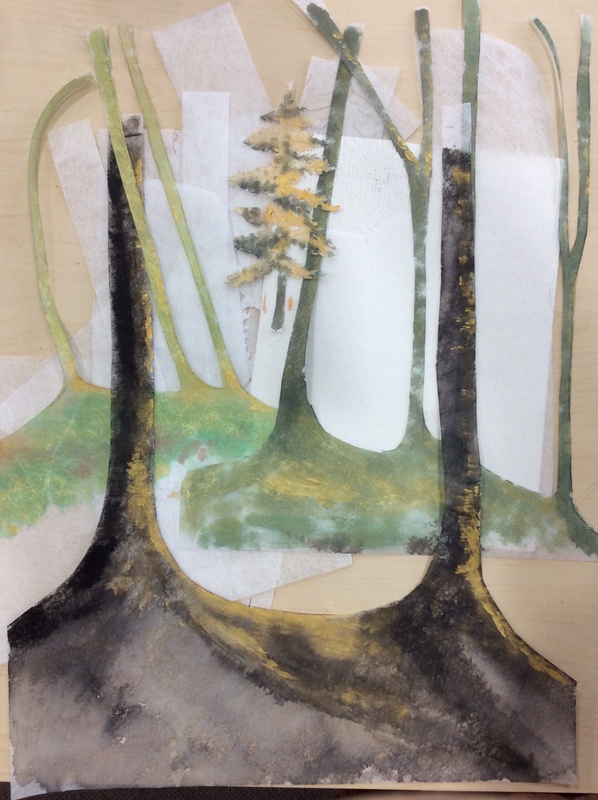 As you can see from the photos not only is each design unique but also each student is displaying a distinct style of their own. 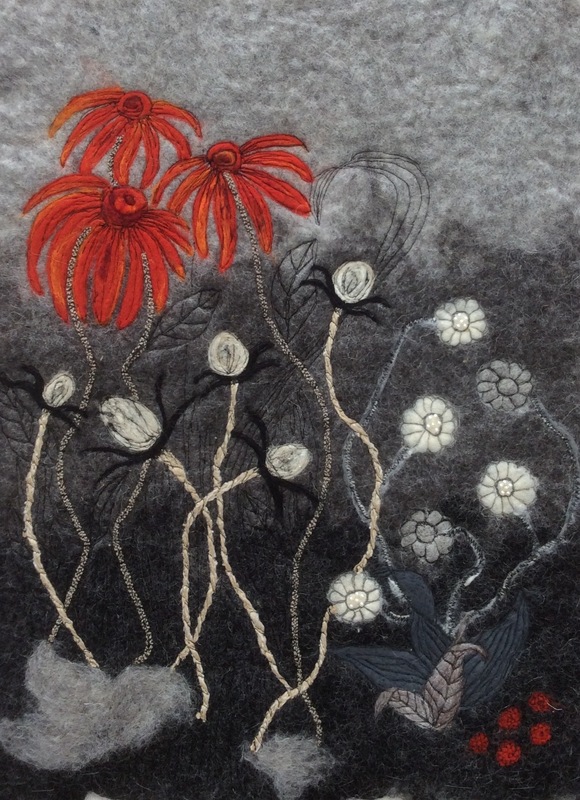 This is where we are at the end of day one….. 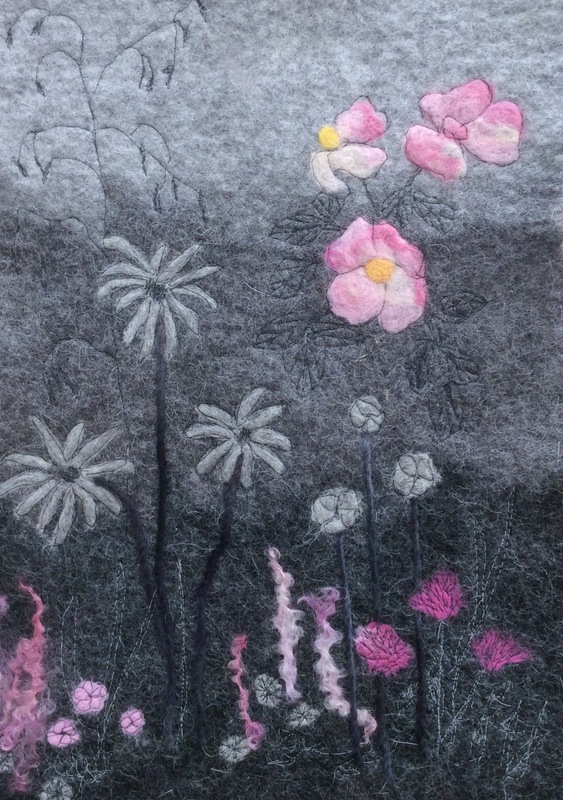 Tomorrow we will bring all the main elements together and stitch them in place before adding any foreground detail and hand stitching. 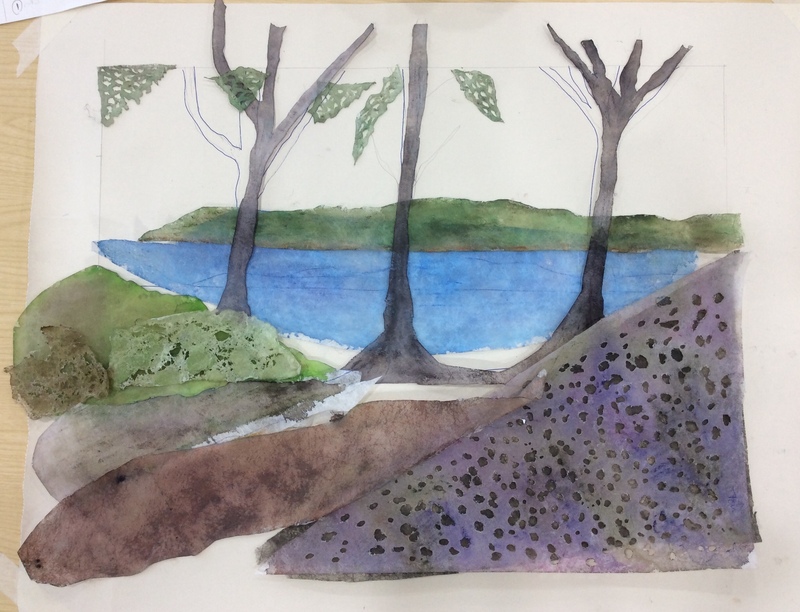 I’m really looking forward to seeing how these pieces develop! 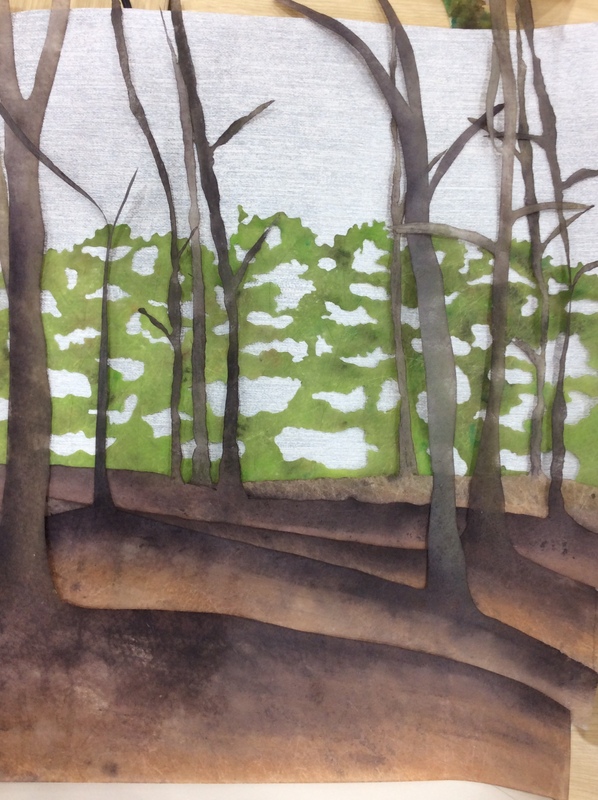 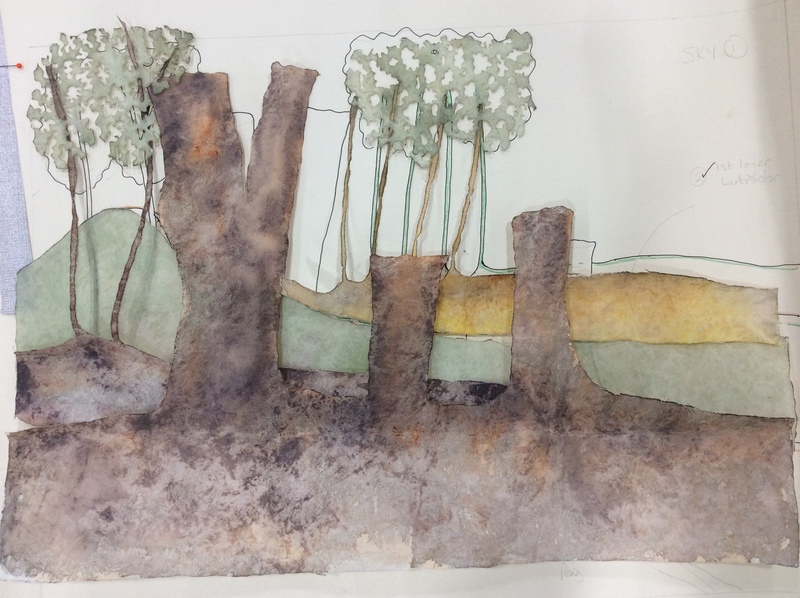 Tall Trees – The Finished Work…..
It’s been a terrific two days at Simply Stitch and I’ve been blown away by the standard of work that the ladies have produced! 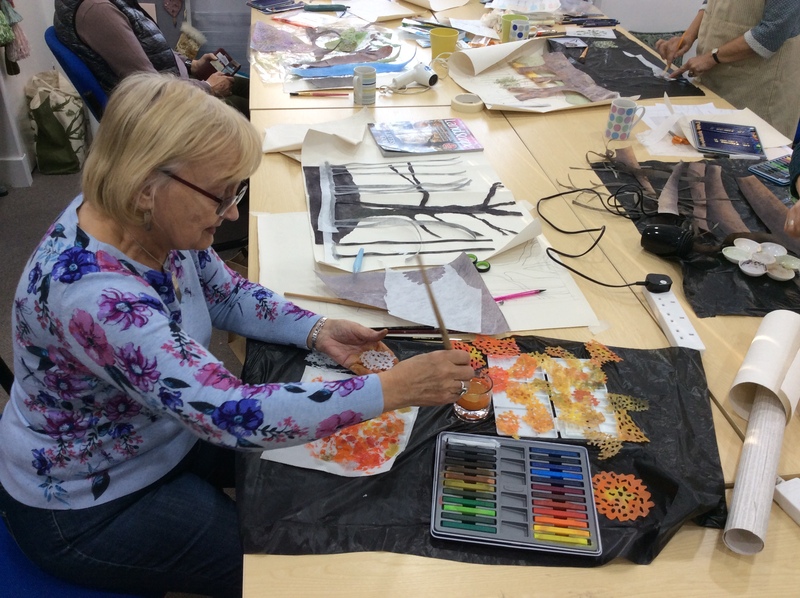 We were joined on day two by a new lady, Jen – the pressure was on for her to catch up with what she missed on Wednesday and she did a great job of it! 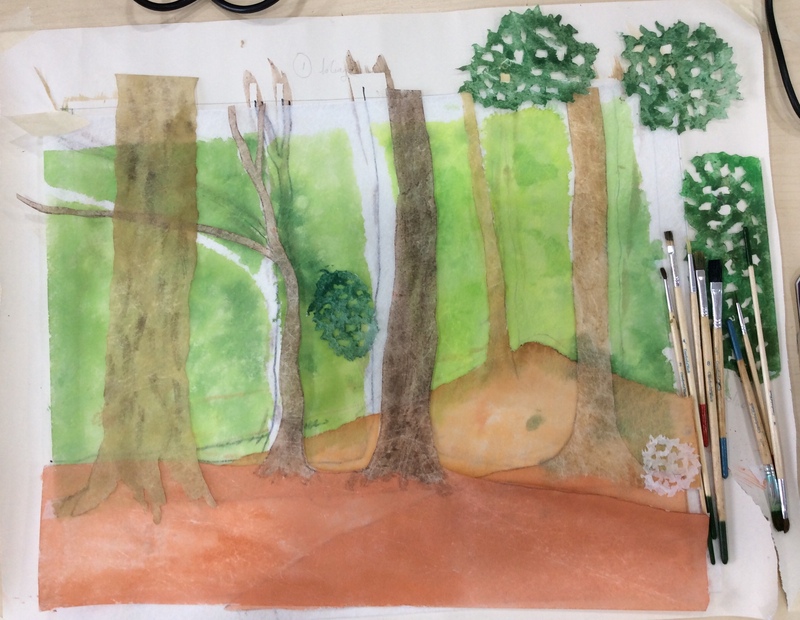 Here are a few more “work in progress” photos featuring Ruth, Janet, Jen and Carole…..
and the fabulous finished (or almost!) 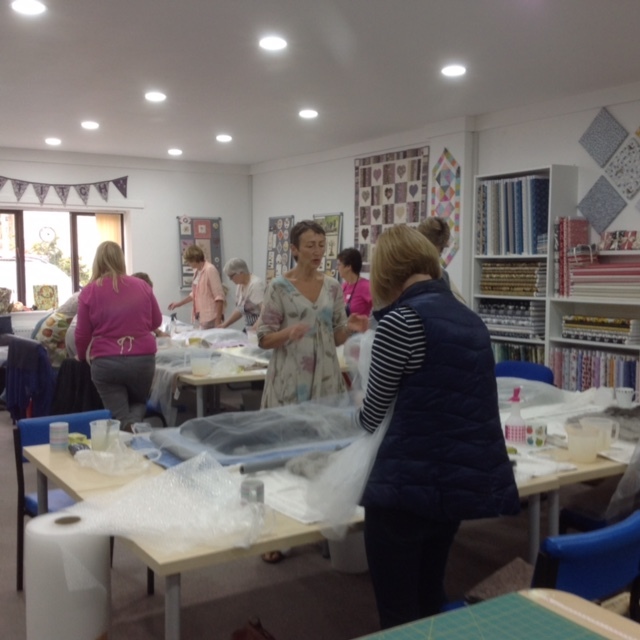 pieces…..
Once again, thank you to Nicola for inviting me back to Simply Stitch and being such a great host! 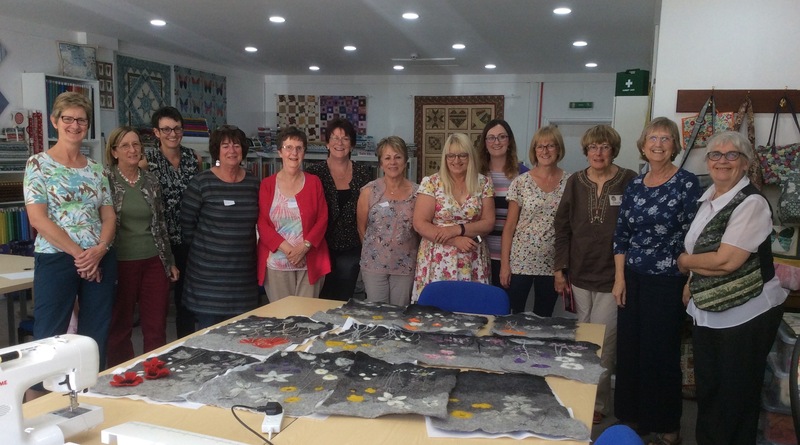 Also a huge thank you to all the ladies who took part in the workshop for their enthusiasm and hard work over the two days. 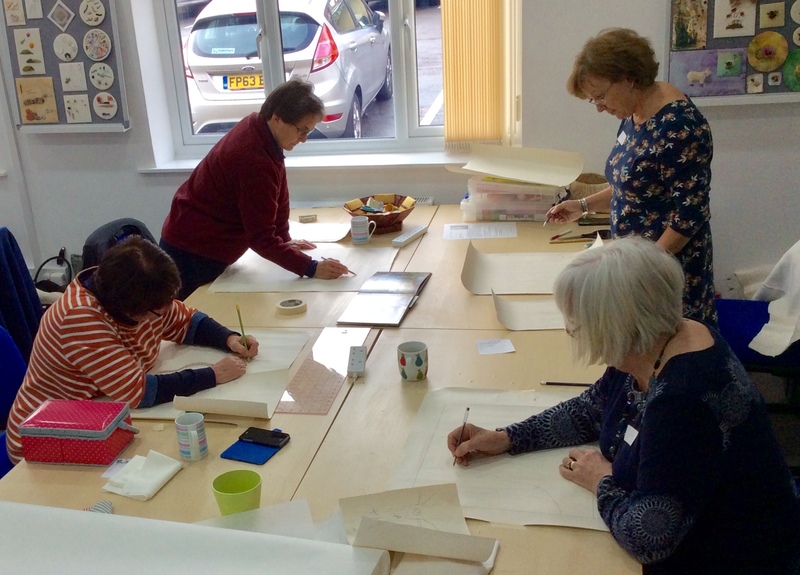 It will be great to see you all again at our next class in the New Year. 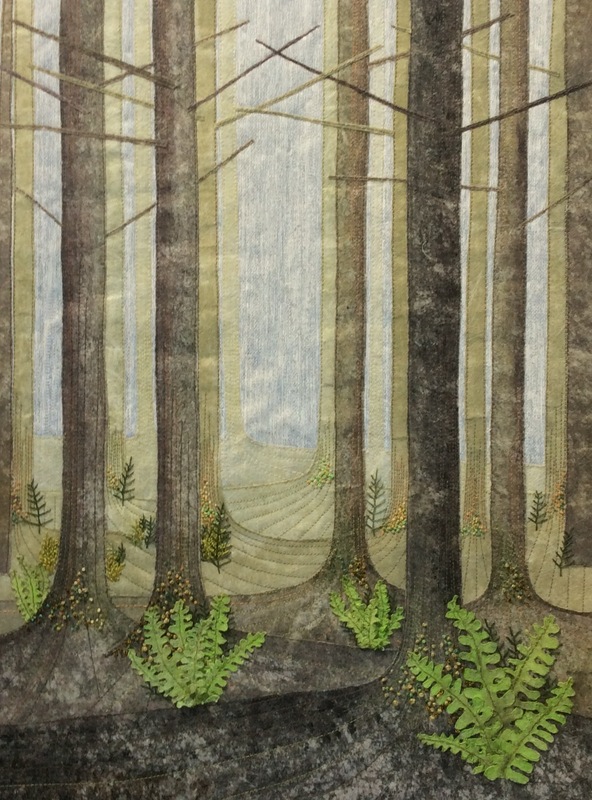 We’ve just come to the end of day one of my “Tall Trees” art quilt workshop at Simply Stitch near Wetherby. 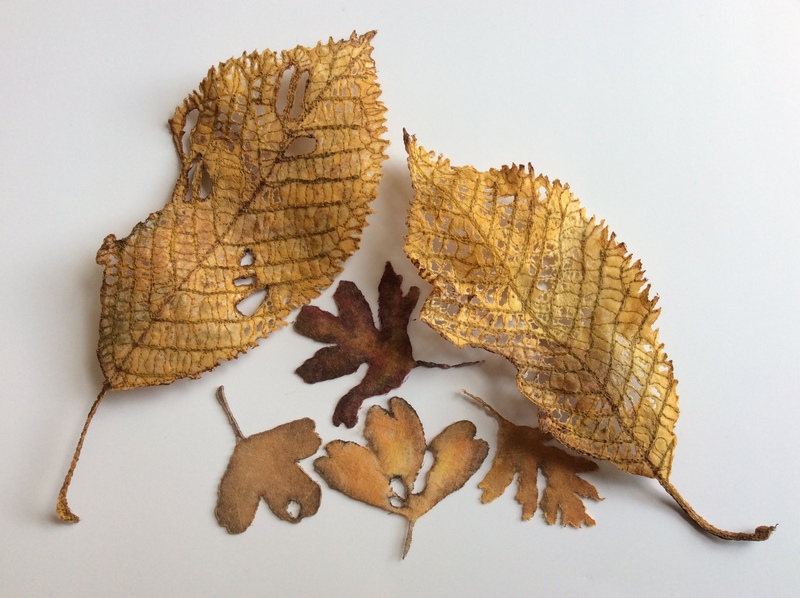 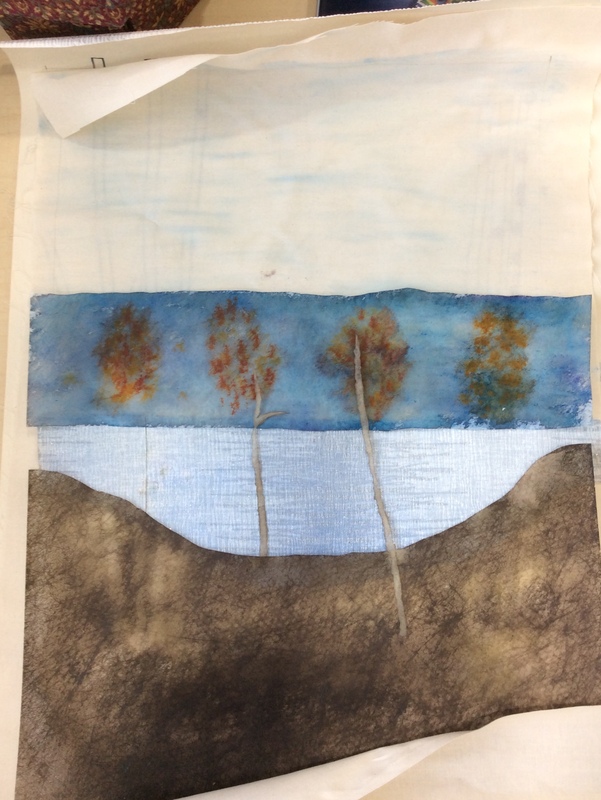 There are thirteen ladies taking part, over two days, working with paint and stitch, layering sheer fabrics and netting to create beautiful backgrounds for their painted Vilene trees. 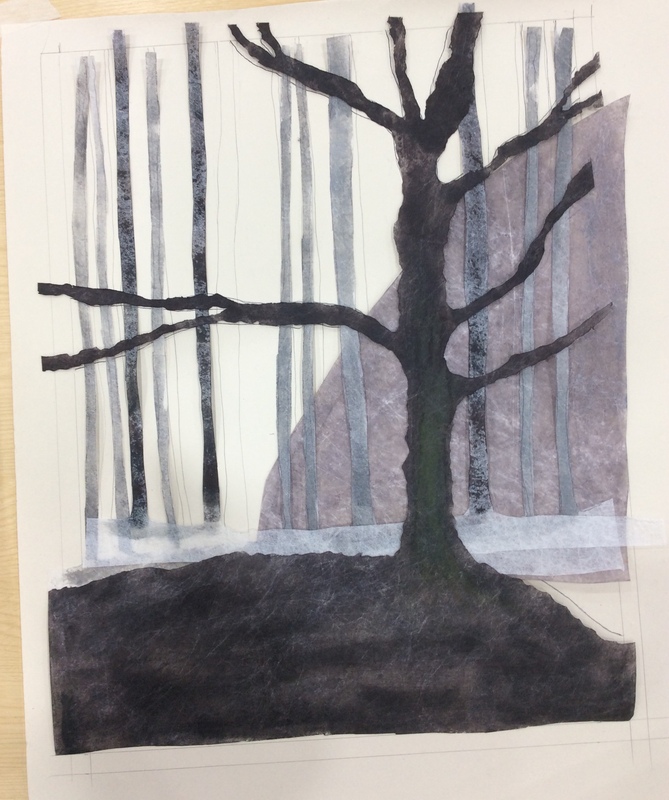 We have some fabulous quilts taking shape, this is how they are doing so far……. 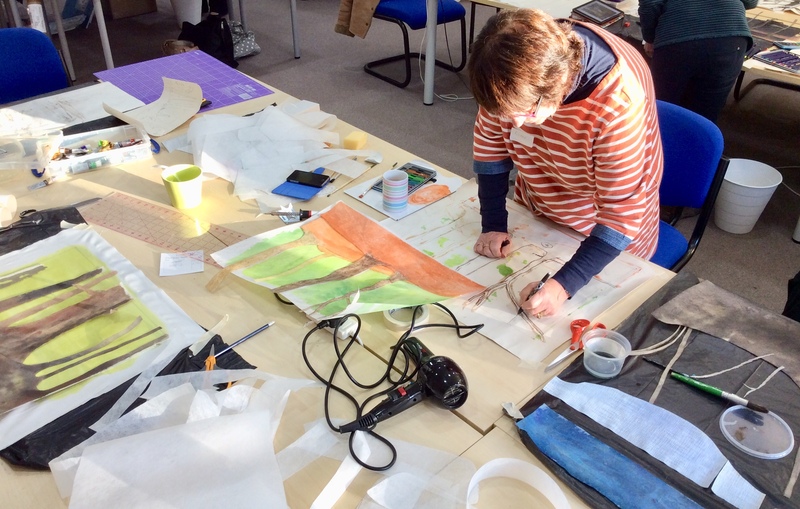 Even our host, Nicola, is making time to join in with this workshop! 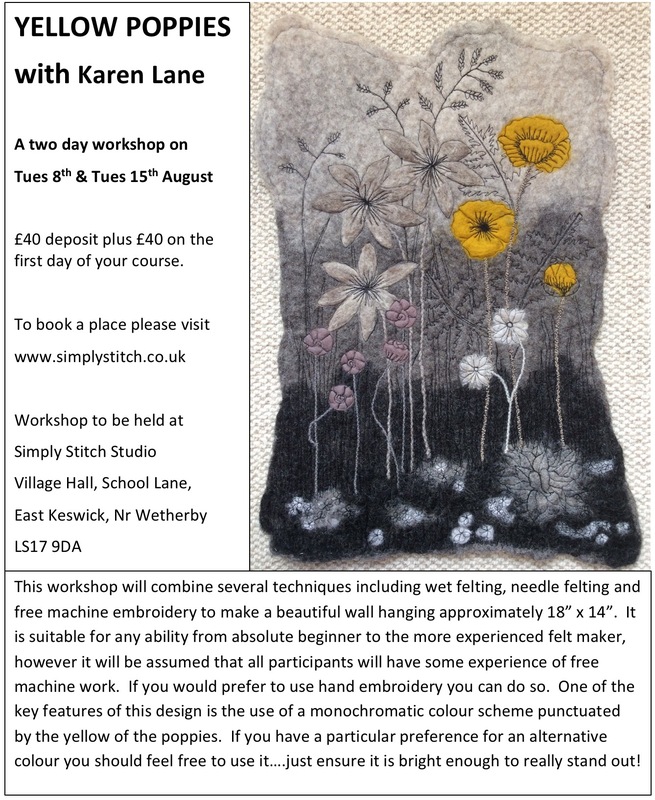 This week I travelled back up to East Keswick for day two of my Yellow Poppies Workshop at Simply Stitch. 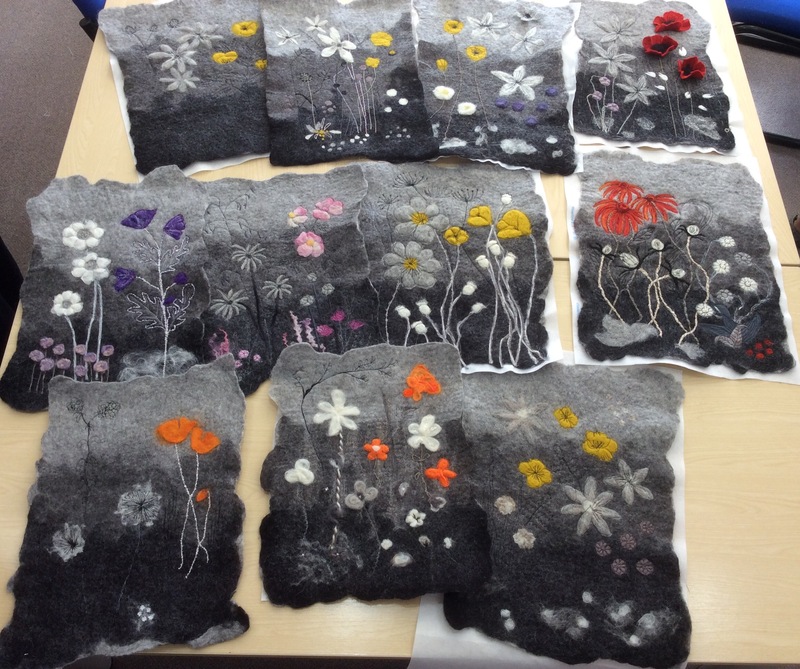 In the morning we concentrated on our designs and needle felting the key elements onto the backgrounds. 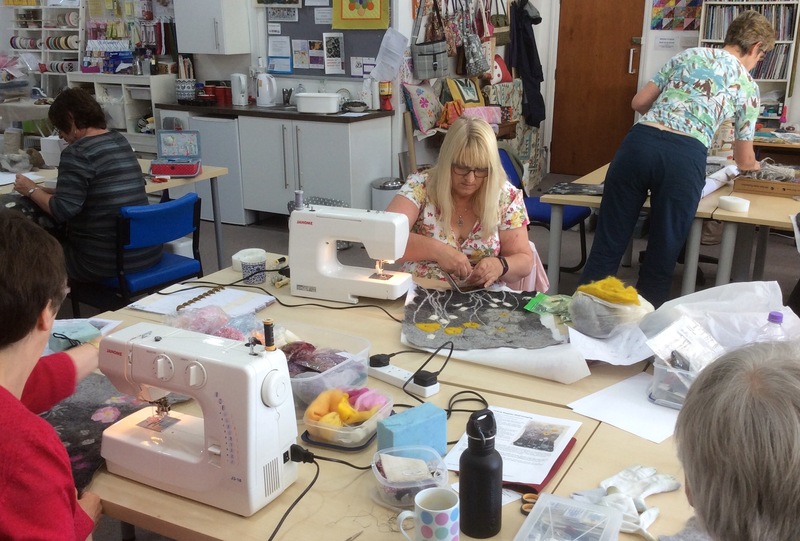 By the afternoon all of the ladies were free machine stitching the detail into their work, including four ladies who had never done free machine work before but who are now hooked! 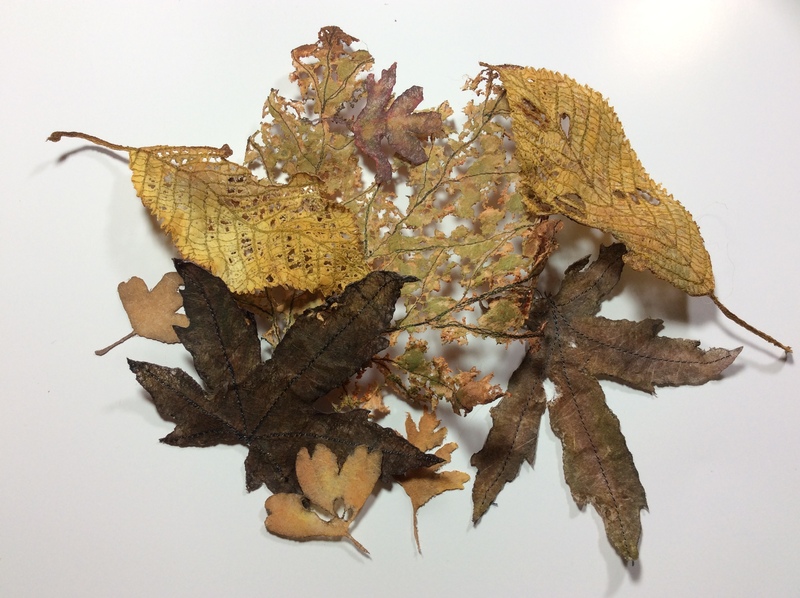 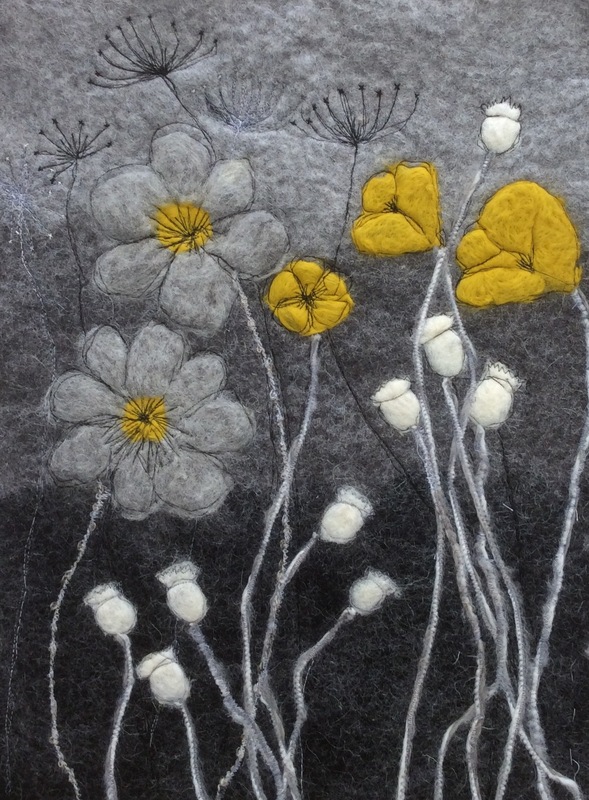 I’m encouraging participants to use their own design and colour scheme on this workshop so I’m thinking I may need to change the title …….”Yellow Poppies aren’t the only Flower”……..maybe not, I’ll work on it! 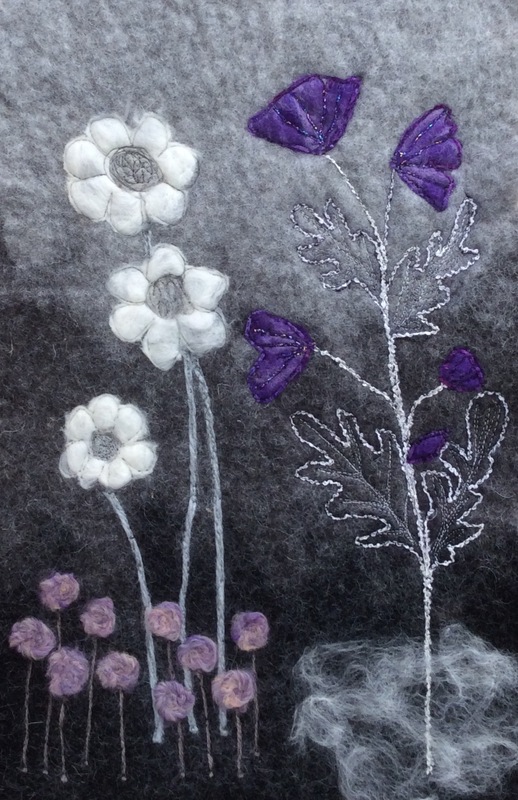 Thanks to Nicola and all the ladies for a lovely two days and I’m looking forward to working with you all again when I come back up in November. 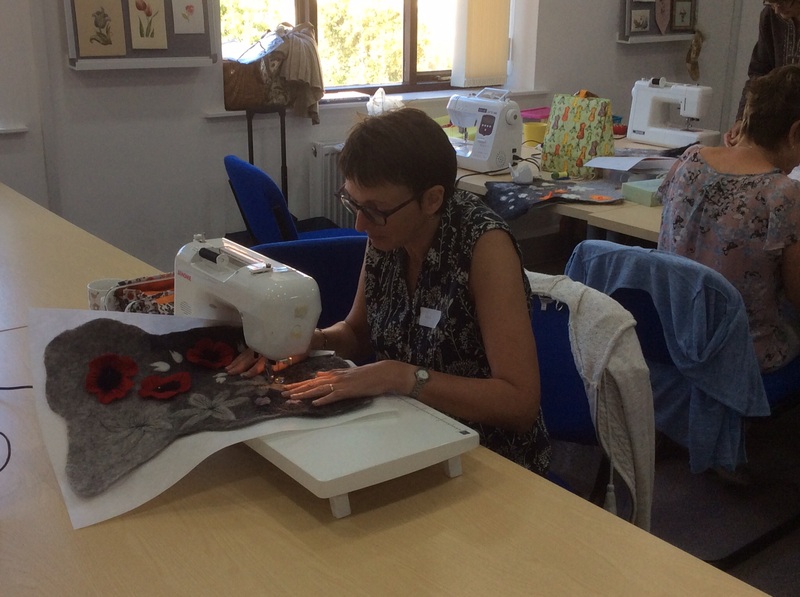 Earlier this week I travelled up to East Keswick, a small village just a few miles from Wetherby, to deliver the first of a two-day Yellow Poppies Workshop for Nicola Hulme at Simply Stitch. 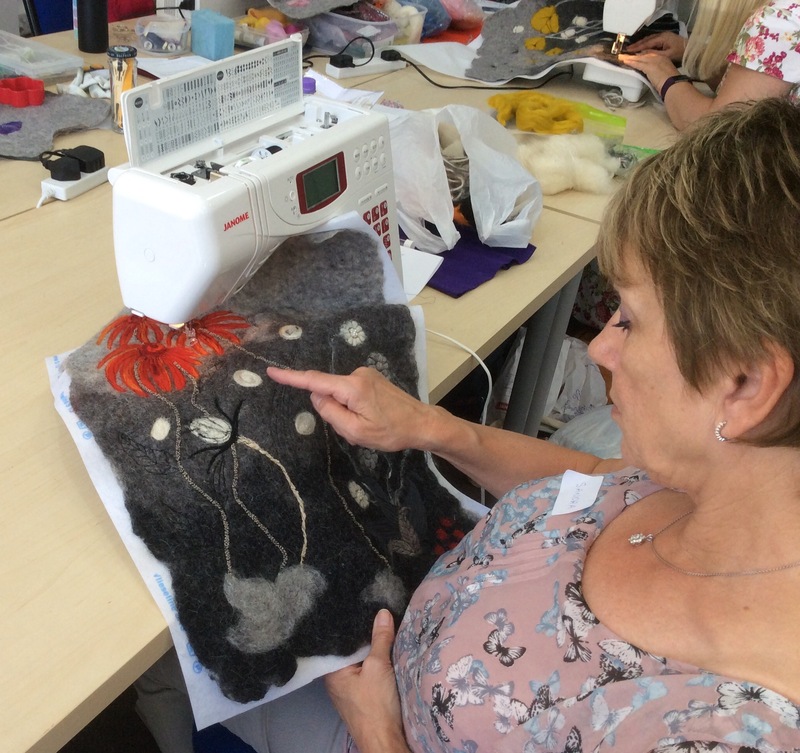 14 ladies attended the workshop, some had previous experience of felting while for others it was to be their first time. 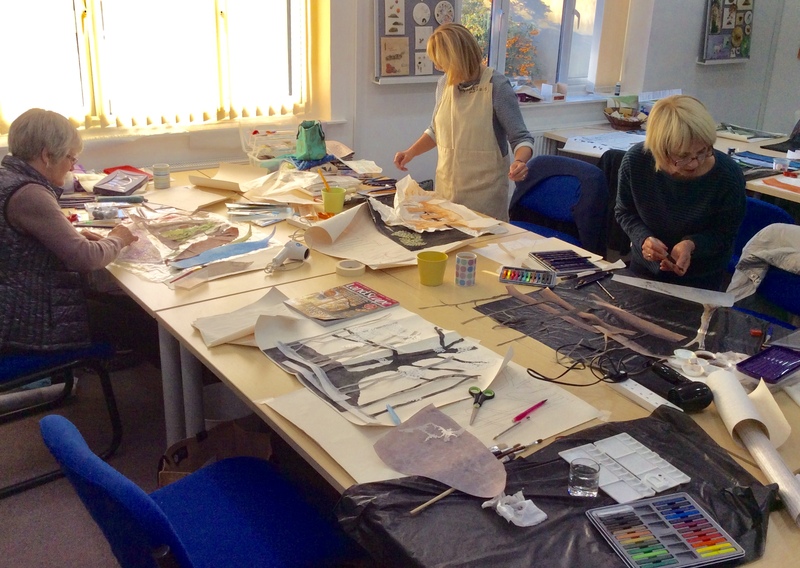 Once the basic techniques had been explained students were given the option to recreate my design or to develop their own and it was good to see some of the ladies working on their own designs and alternative colour schemes. 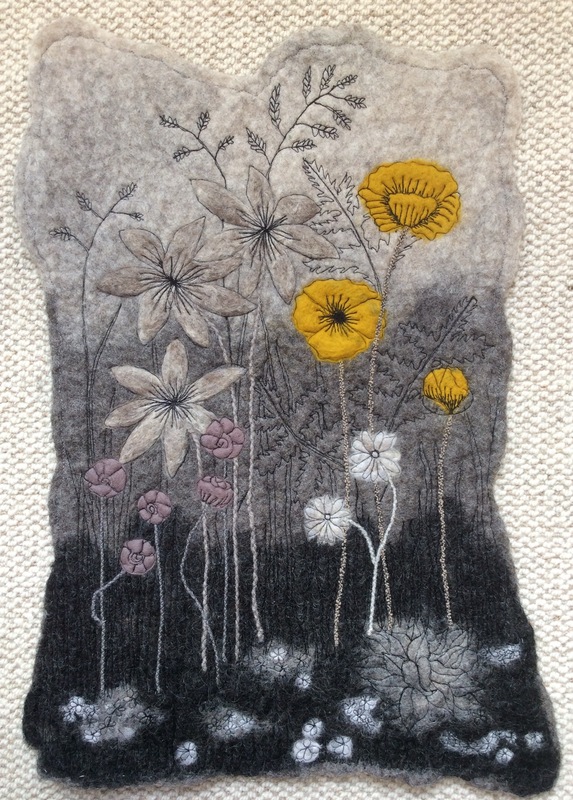 The time flew by, it was a lovely day with good company and Simply Stitch proved to be a hidden gem! 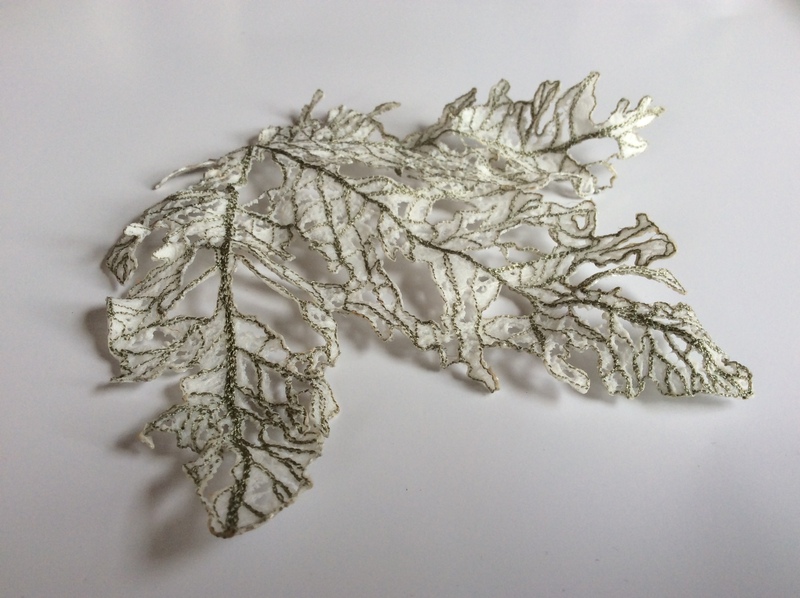 The beautiful studio is large, bright and very well equipped. 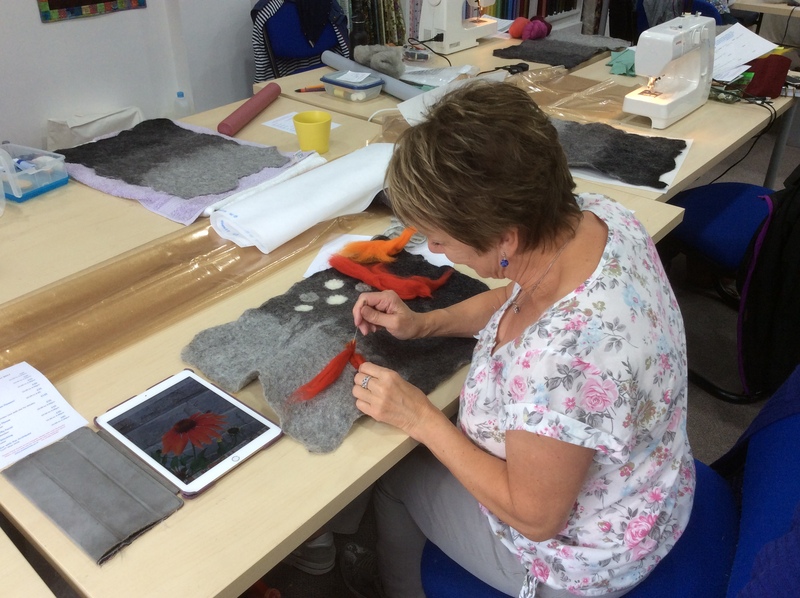 There is a fantastic choice of classes and courses run by Nicola Hulme, including patchwork, machine sewing, purses & bag making, hand embroidery and much more! 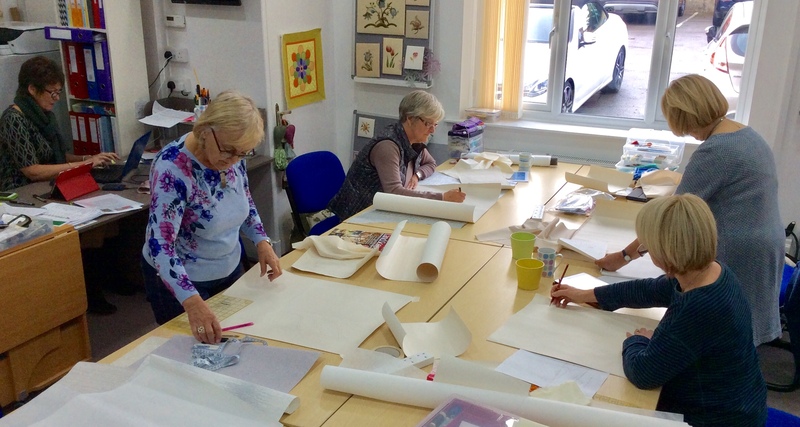 The studio also hosts regular visits from well known specialist tutors in a variety of subjects. 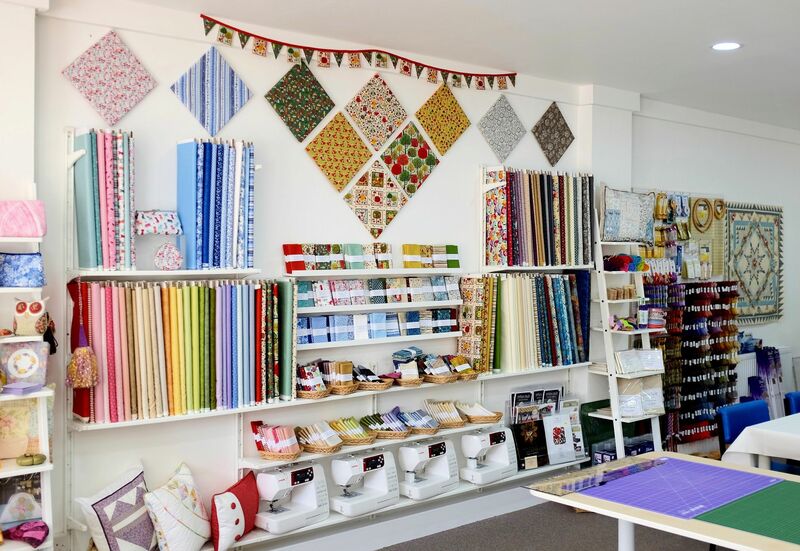 On sale are up to the minute patchwork fabrics and all the other essentials such as threads, wadding, notions, etc. 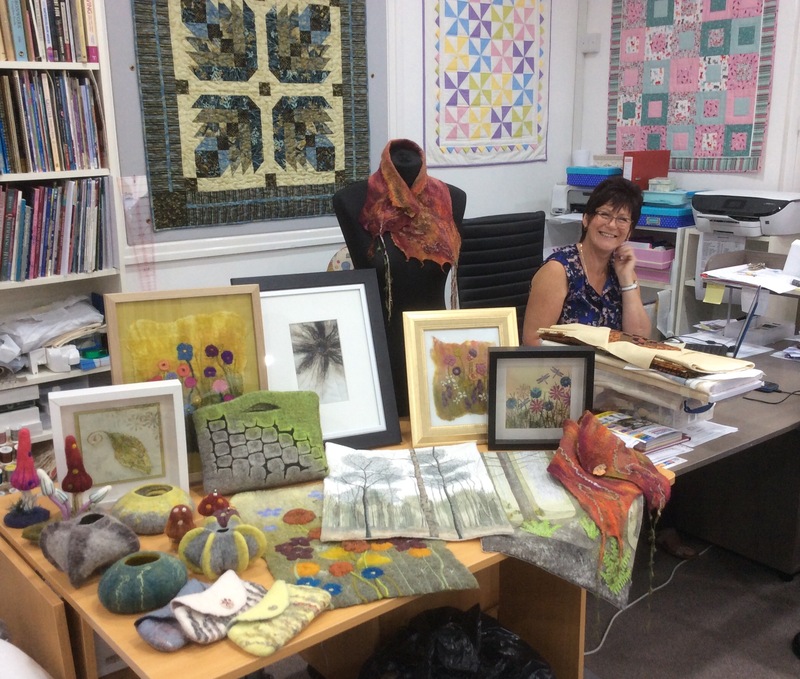 Nicola was a terrific host and ensured that the tea, coffee, biscuits and cake kept flowing! 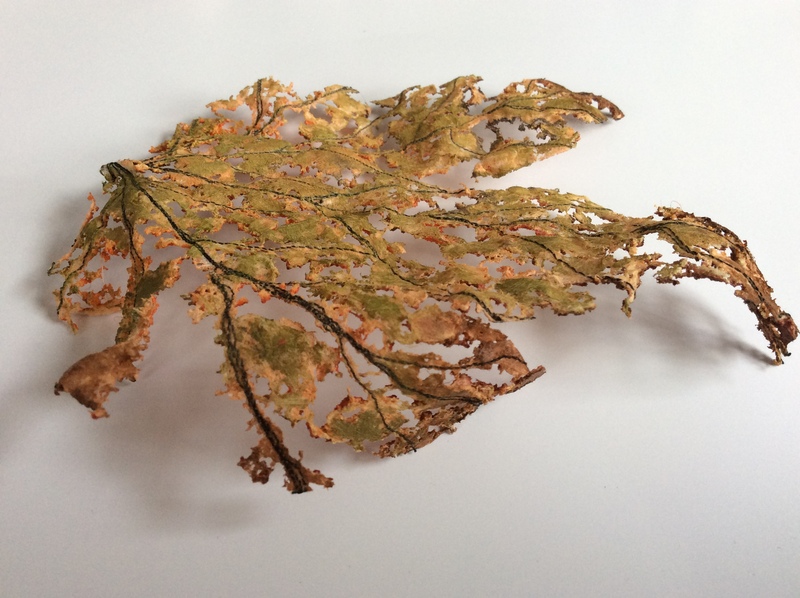 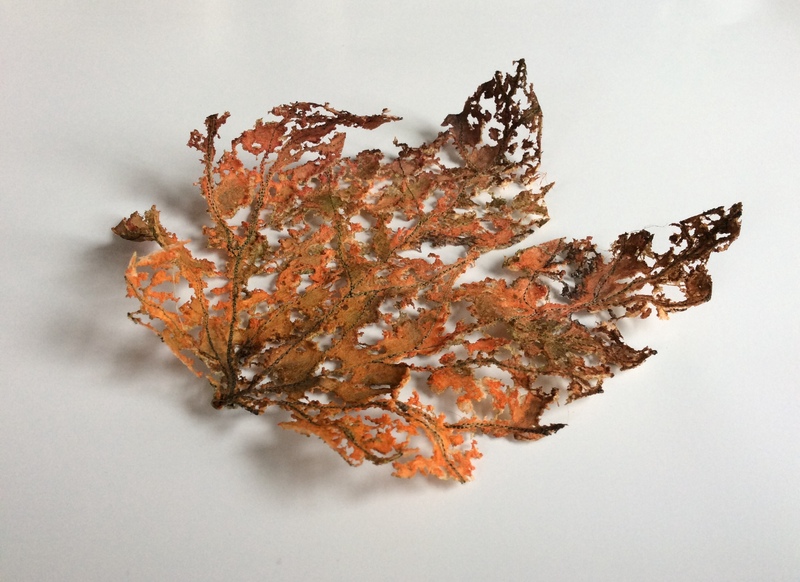 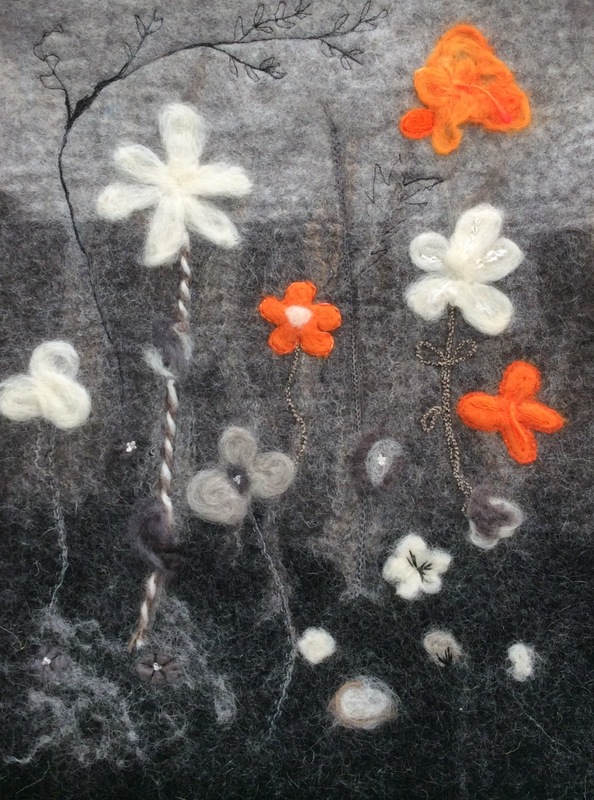 Watch this space for photos from next weeks workshop including images of the finished wall hangings. 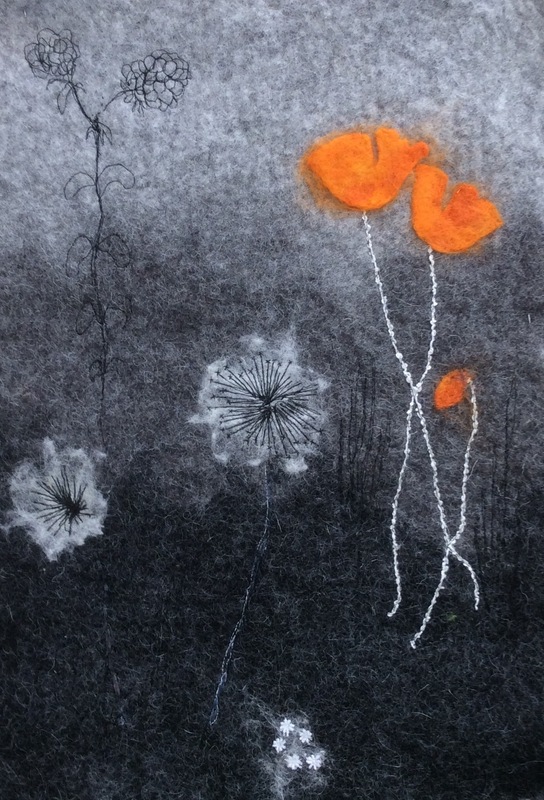 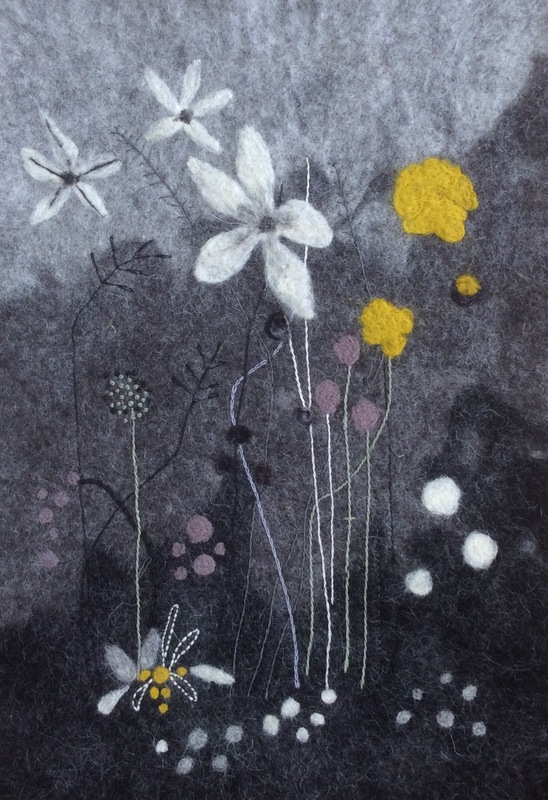 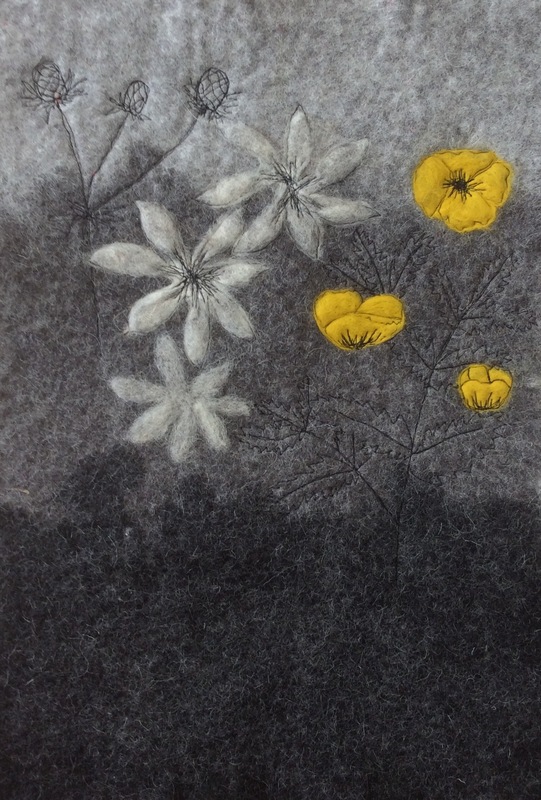 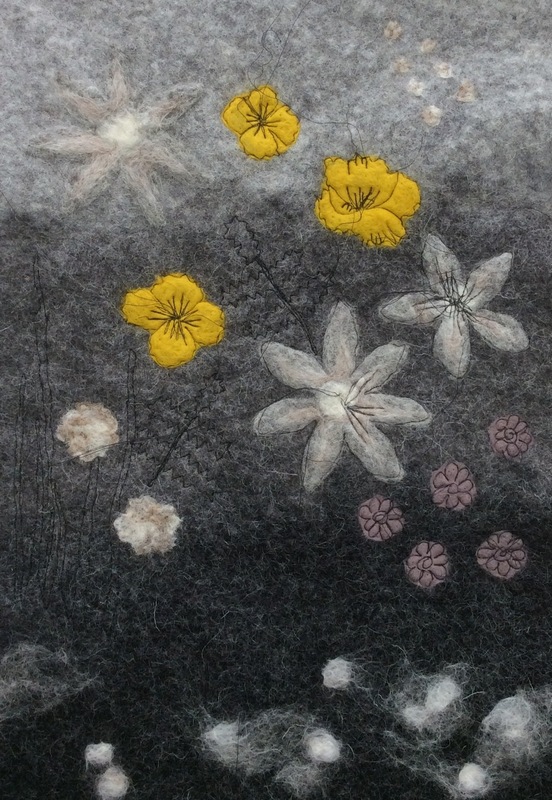 I’m really pleased to be announcing that I will be holding a two day workshop in August to recreate one of my favourite pieces, the wet felted wall hanging I call Yellow Poppies. 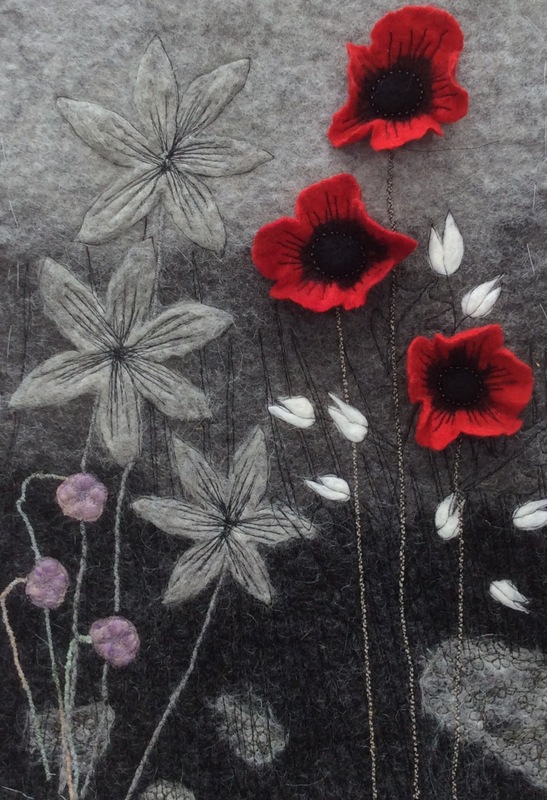 Since my quilts started touring with Grosvenor Shows earlier this year I’ve received more email comments about this piece than any other, which is really nice, with several ladies asking when I will be running a workshop. 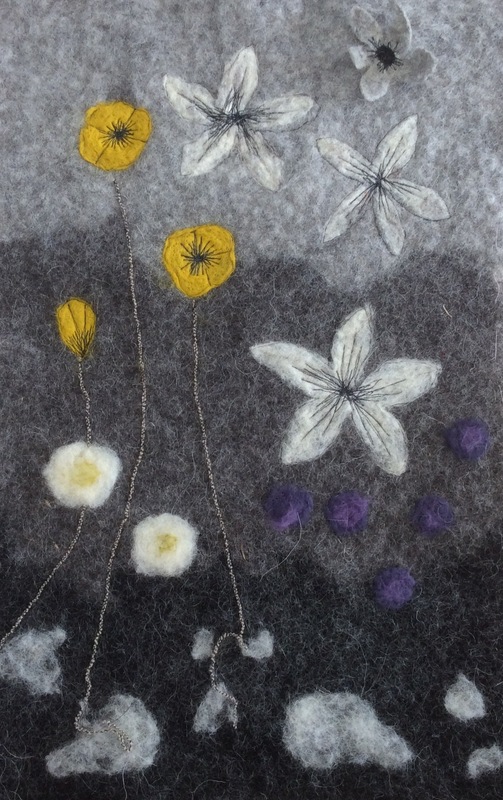 The venue will be the beautiful light and airy Simply Stitch Studio at East Keswick owned and run by textile tutor Nicola Hulme. 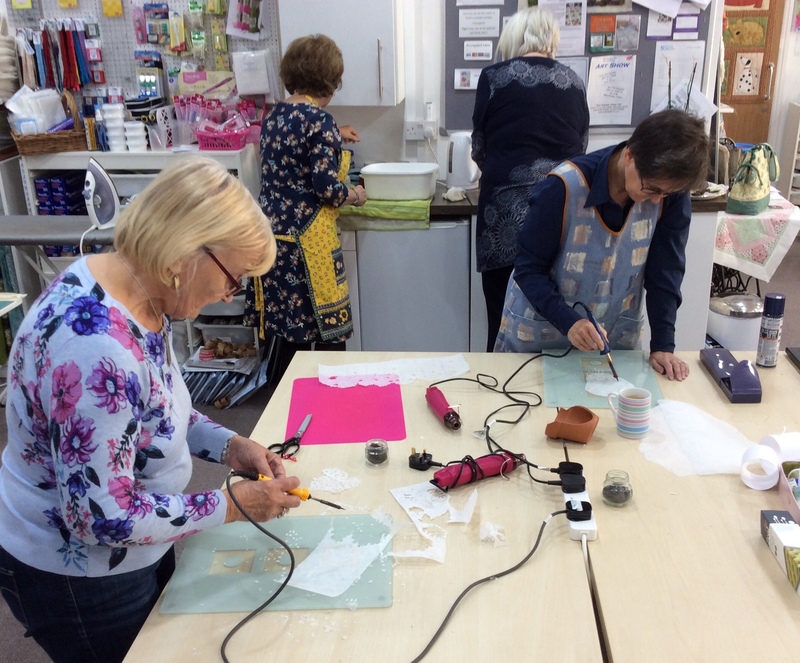 The facilities are perfect for encouraging creativity and with over 400 bolts of patchwork fabric from Makower, Lewis & Irene and Cloud 9 as well as Hobbs quilt wadding you can take the opportunity of a little retail therapy if the mood takes you! 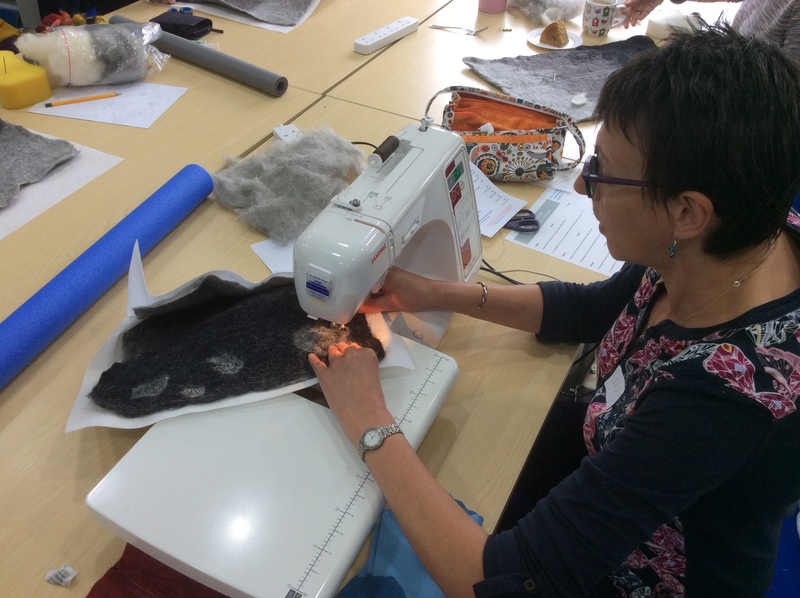 Nicola offers an extensive workshop programme so it’s well worth taking a look at her website to see what’s available.